Today I made the first batch of jelly for the season - violets. I'm really out of practice. I don't think I've canned anything for quite a while. The violets came from my yard, they finally bounced back from the landscaping work we did in the front of the house. 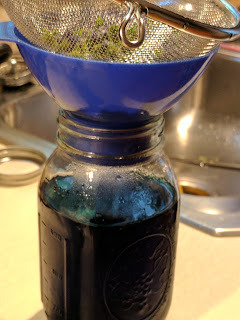 It still took 4 separate gatherings to get enough violet infusion to make jelly. Four cups of infusion, 1/2 cup of strained lemon juice, a box of powdered pectin and five cups of sugar. 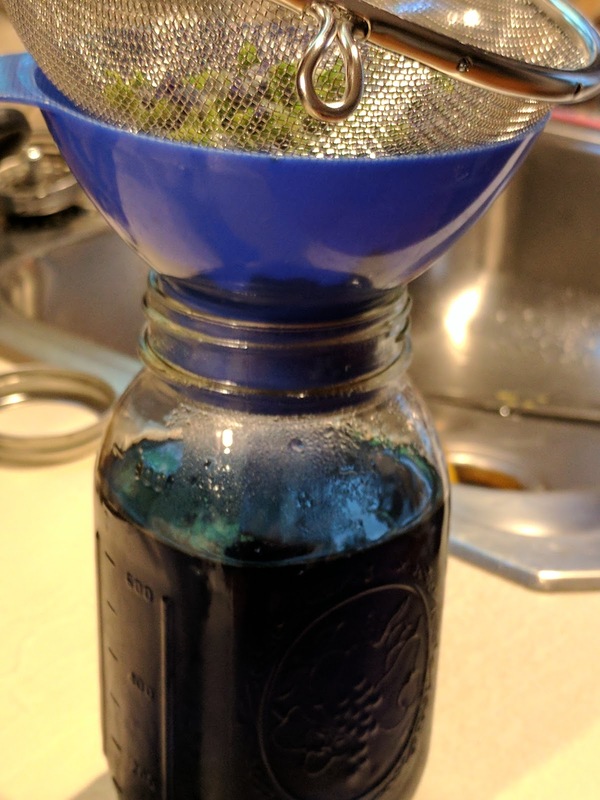 Yield: 12 4-oz jars of violet jelly plus some in the fridge for now. The youngerchild will be pleased.